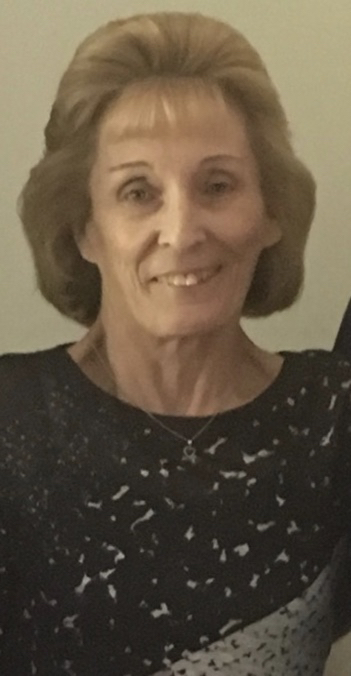 Linda Jean (nee Spangler) Schmidt, 70, of Titusville, Fl., formerly of Niagara Falls, NY, passed away on Friday, August 10, 2018. Born on May 3, 1948 in Niagara Falls, NY, she was the daughter of the late Jack and Dorothy (Murray) Spangler. On February 19, 1966, Linda married CMSGT David C. Schmidt. He predeceased her on August 21, 2009. Linda was raised in Niagara Falls and graduated from LaSalle High School. Her and her late husband would spend winters in Florida. After his passing, Linda permanently moved to Titusville, FL. She enjoyed visiting with loved ones, traveling, baking, hunting & fishing, gardening and going to the casino. She spent many summers in Sparrow Lake vacationing with family and friends. Linda is survived by her sons, Richard (Melinda), David and Steven (fiance Michelle) Schmidt; grandchildren, Brandy, Jesse, Kara, Eric, Savvanah, Casey and Madalin and great-grandchildren, Aria and Taylor. She is also survived by siblings, Clifford (Debbie) Spangler, Jackie (Ron) Snyder and John (Mike) Spangler, her loving companion and partner, Stan Janczar, and several nieces, nephews and cousins. Visitation will be on Sunday from 2-4 and 6-8 p.m. in the Chapel of OTTO REDANZ FUNERAL HOME, 2215 MILITARY ROAD, NIAGARA FALLS, NY, where a funeral service will be held on Monday, August 20th at 10:00 a.m. with Rev. Laura Norris-Buisch officiating. Interment will follow in White Chapel Memorial Park Cemetery. In lieu of flowers, memorial offerings may be made to a charity of one’s choice. Arrangements are under the direction of Michael R. Goodlander of Otto Redanz Funeral Home. Please visit www.goodlandercares.com to leave a note of sympathy to Linda’s family.